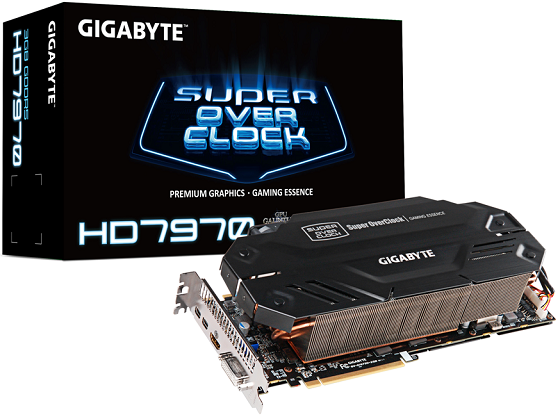 Gigabyte finally added HD 7970 SOC to their website. 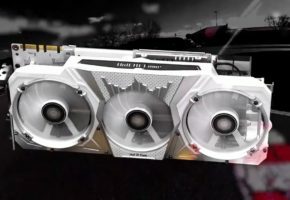 This model is part of Gigabyte’s Super Overclock Series and is a quite solid and massive construction. 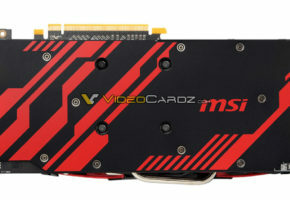 Card codenamed GV-R797SO-3GD has multiple features designed for overclockers. 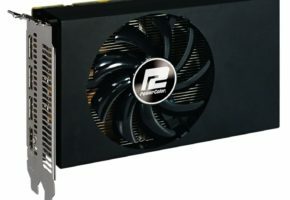 Besides probably the most distinctive part of this card, which are five 40mm fans, card was built with high quality components marked as Ultra Durable VGA+ – this included 2oz Copper PCB, Proadlizer and Japanese capacitors, ferrite core and metal chokes. 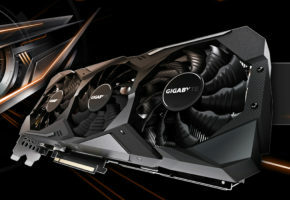 From such a powerful card you might be expecting a better, selected GPU, like Tahiti XT2, but Gigabyte decided to use the first iteration of this silicon. Also it has ‘only’ reference memory configuration of 3GB GDDR5 384-bit. From interesting features there is a special XTREME swtich which enables additional BIOS features for extreme overclocking. 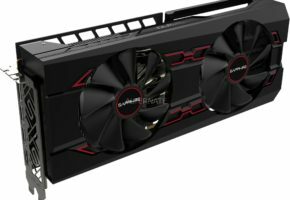 As mentioned earlier this card has penta-fan cooling system, which requires 3 slots, but since the fans are pointed towards the side of the card, it will be easier to setup two of such cards in CrossFire. Card is factory-overclocked to 1080 MHz (reference clock is 925 MHz). There is no such thing as boost clock with this card, but you’ll probably find it very easy to flash the BIOS from XT2 GPU. Memory clock is not changed and remains at 5500 MHz effective. 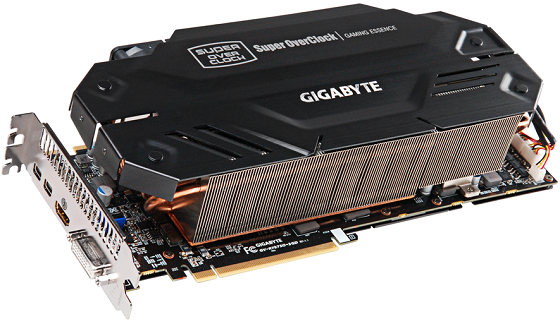 Gigabyte’s HD 7970 SOC requires two 8-pin power adapters and at least 650W power supply. It is equipped with two mini-DisplayPorts and one of both HDMI and DVI. 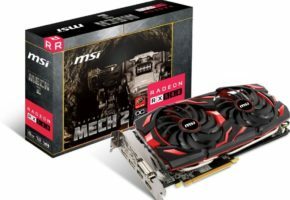 A price of this card varies from $539 to $600.